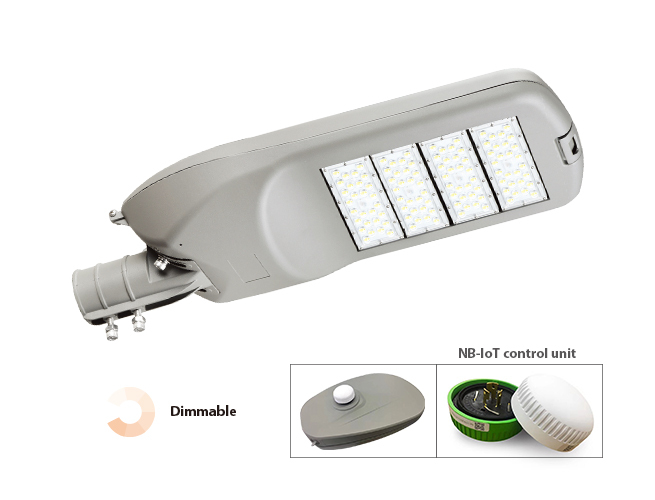 NB-IoT management system through network manage the street lights with the computer, smartphone or tablet; such functions include switch on/off, adjusting brightness, setting schedules, obtain operational data, electricity consumption, energy saving statistics, etc. by using the SMAlux app directly to control the smart street lights anywhere. Cheaper to operate, no need manual inspections and interventions. Intelligent operation, can be set the brightness according different time interval.